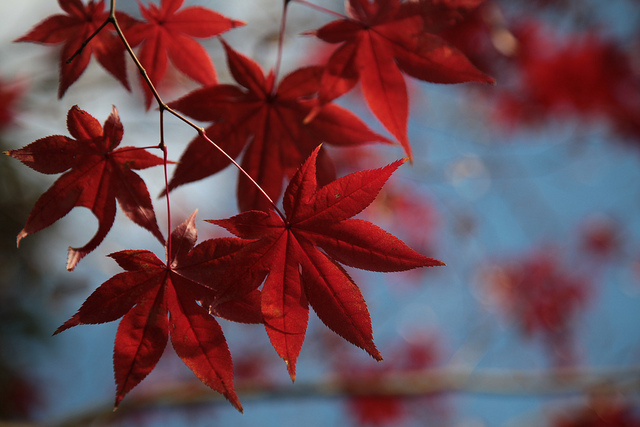 It is getting slightly cooler in the morning and the evening here in Japan, which means that autumn has come for sure! I found a very seasonal article to introduce to you today; an article about the best tourist spot to see coloured leaves in Japan. There are many places popular for beautiful coloured leaves in Japan, but it seems a travel agent conducted a survey to choose top 10 places to see autumn colour of leaves. According to the survey, the 1st place went to Kenroku-en at Kanazawa, Ishikawa Pref. 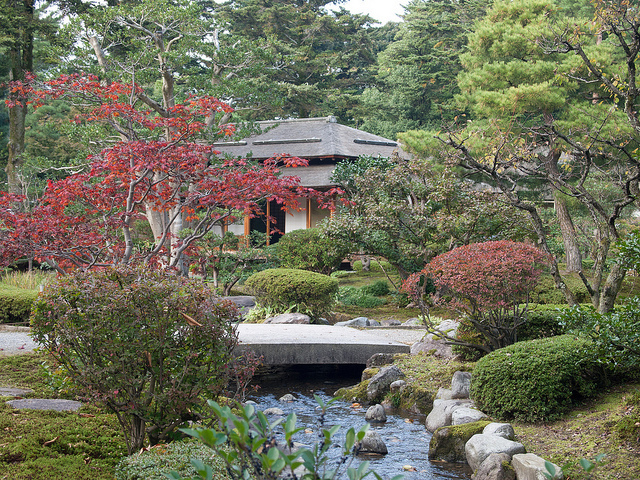 This place was chosen for its traditional Japanese garden with beautiful autumn leaves, which perfectly match to it’. It seems night viewing of illuminated autumn trees creates amazing contrast with dark night sky, too! Here is a picture of the place in daytime (sorry, that I cannot share beautiful night view!). I have a very vivid memory of cherry blossom season here, but I’m sure autumn leaves also match very well! And the place chosen for the 2nd place was Naigu of Ise Grand Shrine in Ise, Mie Pref. People like this place as it is very quiet, and brings you a divine feeling as you walk in. I cannot explain why in details, but I actually agree with this comments! And Miyajima of Hiroshima Pref. was ranked as the 3rd. 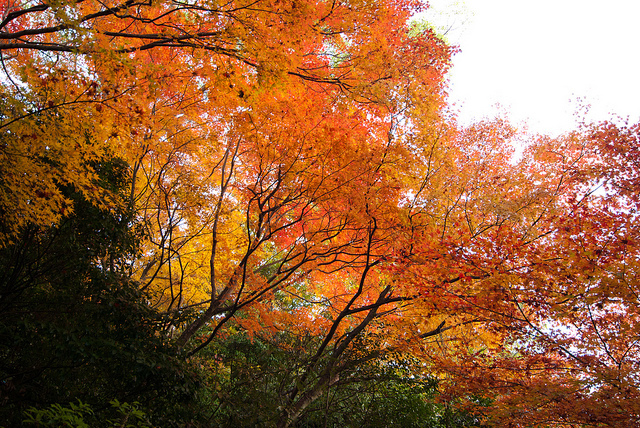 This area seems to be associated with beautiful red of autumn leaves and shrine gate. FYI, the rest of ranking follows as shown below; 4th was Nara Park; 5th was Takachiho-kyo in Miyazaki’ 6th was Kamikochi in Nagano; 7th was Arashiyama in Kyoto; 8th was Mt. Takao in Tokyo; 9th was Risshaku-ji Temple in Yamagata; and 10th was Shiretoko 5 lakes in Hokkaido! I have only been to some of the places, but they are all popular for sightseeing, so if you have any chance to visit any of these places, it will definitely be worth visiting!